1. The service is called the Samsung Media Studio, not the Samsung music store. 2. The Samsung Media Studio is an application-based programme that sits at a local level on a user's PC. 3. The Samsung Media Studio will be live in the UK from February. 5. 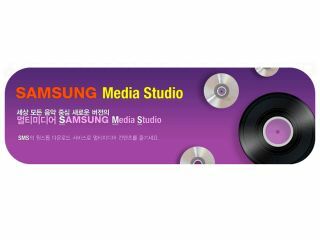 To provide the best possible selection of media to consumers, Samsung has worked with all of the major record labels and over 40,000 independents to take part in the service, but cannot comment on the wider digital media strategies of those companies. 6. At present all media purchased through the Samsung Media Studio will be DRM protected, as Samsung respects the need for this in the industry. Much of the blame for the confusion stems from a press release issued by Samsung itself. In it the company clearly refers to the Samsung Music Store and never makes it plain how the service works or what the specifications are. At least the Korean giant has now had the decency to clear its own mess up.